Well that didn’t go exactly as planned. Had there not been two conceded penalties I think we’re singing a different tune right now. But the Portland Timbers dropped another match on the road, 2-1 to the LA Galaxy — two teams trending in different directions. The two conceded goals add to the tally and it’s now 12 allowed in four matches, but only 10 from the run of play. The San Jose Earthquakes are in a bit of a pickle as well, they’re coming off a 5-0 drubbing at the hands of the black and gold of the Los Angeles Football Club. This puts the Quakes at 0-4-0, zero points on the season, making them dead last in the West, though the Timbers don’t have much to crow about either. But this is a match where by golly, someone is going to walk away with points. Can the Earthquakes stop their skid against the Timbers or do the boys in Green and Gold take advantage of the situation in San Jose and sneak away with three points. This is a match that both teams could really use a result to hopefully turn things around from what has been a dreadful start to the season. Matias Almeyda has a grand total of four MLS matches under his belt, and as we’ve pointed out, things aren’t going exactly to plan in San Jose. He can’t seem to find the right combination of players at this point that give them a good chance at getting a result, and I’m sure any result with points would be something that they’d take in a heartbeat. Even their coach knows that they are adrift so early in the season. Their offense is lackluster to say the least and team captain Chris Wondolowski is still one goal away from tying Landon Donovan for most goals in MLS history (144). He barely sniffed the ball against LAFC, and if you can’t get the ball to your striker, you’re going to have a problem putting the ball into the back of the net. They’ve only scored two goals so far this season, which puts them in the bottom of the Western Conference. Things are so bad in San Jose right now, that they’ve already held a closed-door players-only meeting to try and sort through everything. Almeyda is partial to the 4-1-4-1 with that number six sitting right in front of the the center backs. One of their strengths is taking shots from distance, they’ll let them fly from outside of the box and they will use the through pass to get the ball forward. Almeyda likes to play possession football, his team currently has a 54.4% average — though that might be a bit misleading as they’ve only been able to generate two goals from that possession. Another problem they seem to be running into is that, according to Almeyda, their squad isn’t as big as they’d like it to be, leaving them shorthanded. Against LAFC they had only two offensive players on the bench and didn’t use their last sub. Watch how he manages in-game and makes adjustments — with a short bench he doesn’t have a lot of options if the team needs a late match spark. 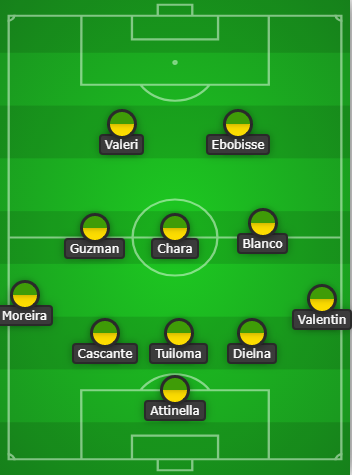 Against the Galaxy, coach Gio Savarese decided to shake things up from the usual 4-2-3-1, to a three-in-the-back scheme, with Moreira and Valentin as the wing backs. It did hold the LA Galaxy scoreless through the run of play — it was two penalties that undid the Timbers and gave Zlatan Ibrahimovic a brace on the night. If there was an early must-win game, this might be it. Like the Timbers, the Earthquakes’ season hasn’t gotten off on the right foot and they find themselves dead last in the Western Conference. This is the kind of match that the Timbers need to take control of, because on paper, the Timbers have the advantage. I mean, the Earthquakes have scored just two goals in four matches. They have a punchless offense and a defense that would make Swiss cheese proud. If the Timbers do go back to the 4-2-3-1, I really hope that Bill Tuiloma gets the start at center back over Julio Cascante, who so far in 2019 has been less than impressive. But three in the back seemed to clog the box, and all the Galaxy could do was just send cross after cross into the box in hopes someone would get on the end of it. So, while the Timbers have allowed 12 goals, last week was a definite improvement not allowing a goal from the run of play. If the offense can do things like this, I have faith. I mean, seriously — this is just a savage play from the Timbers. This is the version of the Timbers we need to see Saturday night. The match is a very winnable one and a good time to start a turnaround. Will Gio stick with three in the back for two matches in a row? Not sure, I’ve given up on playing the prediction game with Gio. I just really want everything to come together so the TImbers can get their first victory of the season. 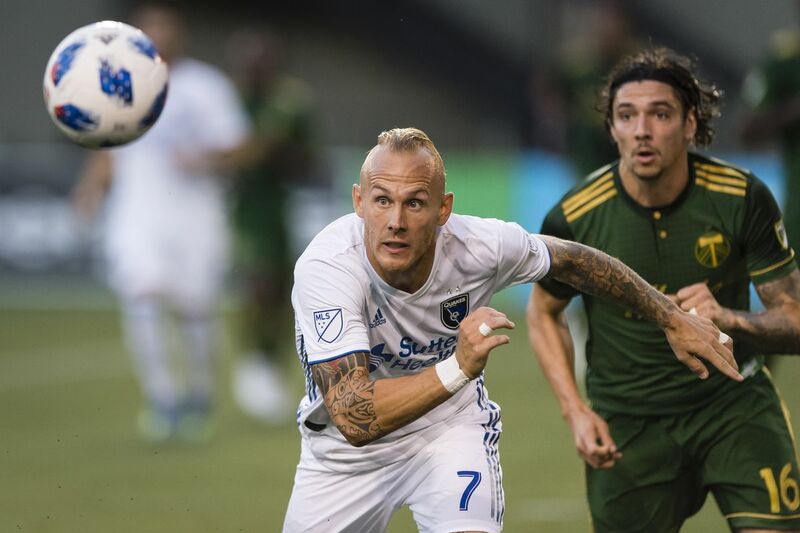 Saturday’s match marks the 22nd meeting in MLS regular-season play between San Jose and Portland, with the Timbers holding a 10-4-7 advantage in the series. Portland has won five of the last seven meetings against the Earthquakes, including both meetings during the 2018 regular season. In the last match on the road against San Jose, the Timbers registered a 1-0 win, as Diego Valeri recorded a late game-winner off a direct free kick on May 5, 2018. Valeri has recorded six goals and eight assists in his career against the Earthquakes. Referee: Drew Fischer; Assistant Referees: Brian Poeschel, Michael Barwegen; 4th Official: Lukasz Szpala; VAR: Edvin Jurisevic. For all the clamor of a DP striker signing, Jeremy Ebobisse seems to be holding his own, leading the Portland Timbers in goals (2) to start the season. Diego Valeri leads the team in assists, with two. Storylines: Columbus Crew vs Portland Timbers The Timbers look to turn it around against the Crew..
State of the Timbers: Halfway home ... and not happy The season so far, why it hurts so bad, and where it can possibly go from here. This Article has a component height of 41. The sidebar size is long.